Life is busy isn’t it? It doesn’t really matter what season of life you’re in with your kids, you just feel busy. Whether they’re in diapers, the awkward middle school years, driving a car for the first time or heading off to college – they keep us on our toes. Lately I’ve been trying to embrace the busy and love every minute of the season of life we’re in because guess what? I don’t get this time back. This is it. Speaking of busy, the other day went like this. Drive child A to school. Drive child B to Starbucks for a meeting. Wrong Starbucks? Awesome. Drive child B to the correct Starbucks. Come home and down breakfast as fast as humanly possible. Drive child C to school. Do some work. Do some house work. Run some errands. Get a text from child B. “I think I have a fever.” Say what?! Pick up child B from school. Come home and down lunch. More work. And then the afternoon rush hits. Ask myself “How long has it been since I’ve done laundry?” Fix dinner. We’re all going a mile a minute and need to do things to support our health so we can keep up with our active lifestyles. 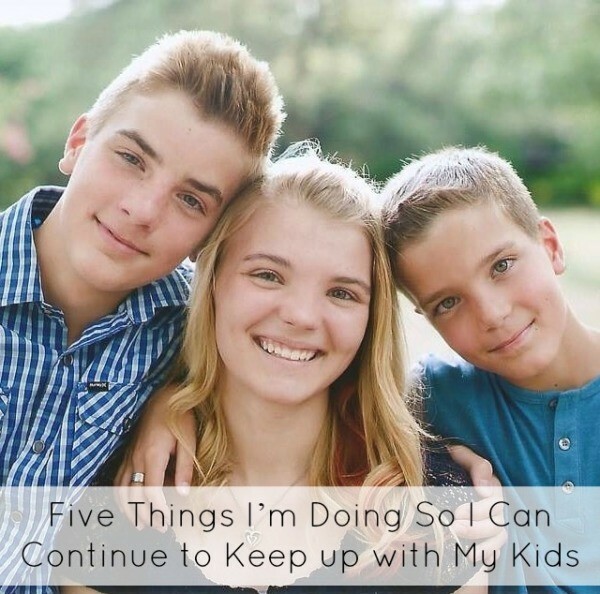 Here are five things I’ve been doing so I can continue to keep up with my kids day after day. I can always tell mid-day when I haven’t had enough water to drink. I feel sluggish, weak, dizzy and just off. Not only that, but I start snacking more than usual. All of these are signs pointing to the fact that my body needs water. By keeping myself hydrated I’ll stay more alert, attentive and be able to finish out the day strong. 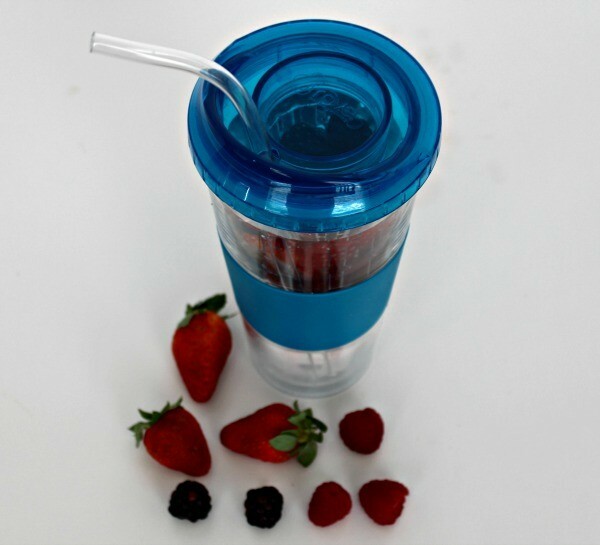 Sometimes I’ll add fruit to my water to give it a little more flavor and encourage myself to drink more. Plus, it just makes it more fun and pretty to look at. 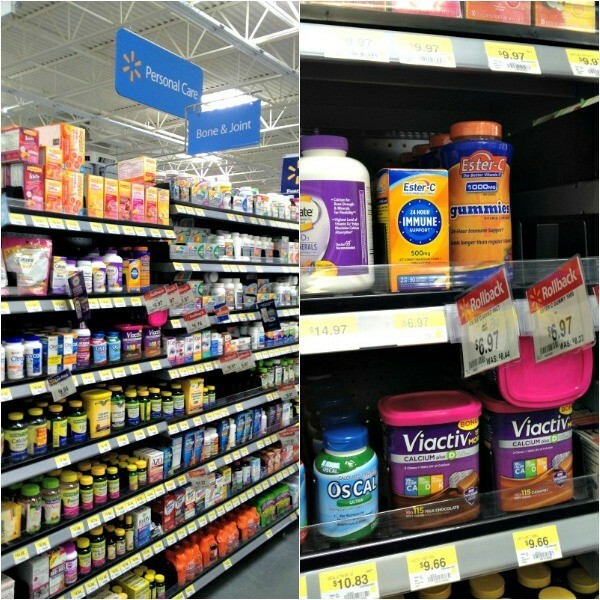 I pick up the 500 mg Ester-C in the pharmacy section of my local Walmart and take 2 every morning after I eat breakfast. 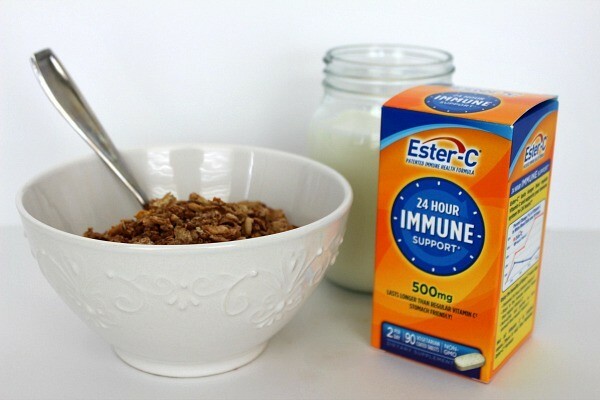 I’ll eat a bowl of cereal or oatmeal, drink a glass of milk, take my vitamins and my Ester- C and I’m good to go. I love having a project I’m working on and it helps to energize me when I get a few moments to work on it. Maybe for you it’s reading a book, or painting, or knitting. Whatever it is, we all need something we can go to and escape for a few minutes. I believe it’s good for the brain and the soul. Ten minutes you say? I do not like to exercise, so if I do 10 minutes it’s pretty amazing. So that’s been my goal. 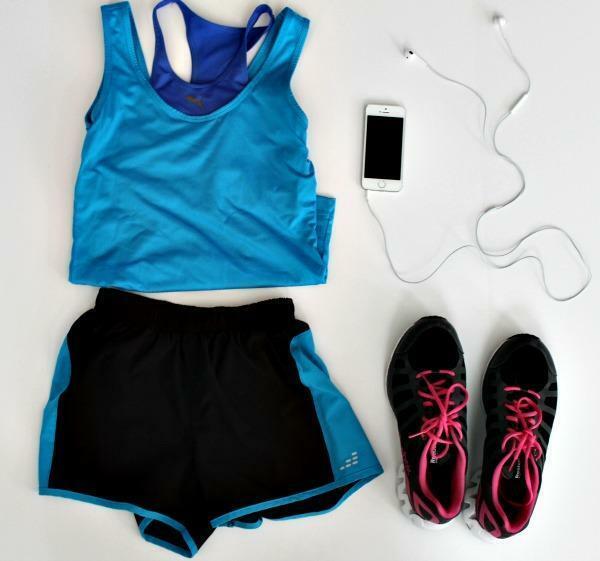 I’ve found all kinds of short routines on Pinterest and even a ballet style workout that only requires, you guessed it, 10 minutes. I’m hoping these 10 minutes will lead up to 20 and then maybe even 30. You never know! By combining these five things, it gives me the support I need to balance an active lifestyle and keep up with my kids for many more years to come. Do your kids keep you so busy some days you barely have time to think? What do you do to make sure you can keep up with them? I would love to hear your tips! For more information on Ester-C and to keep up with savings and giveaways, visit the Ester-C Facebook page and find them on Twitter.